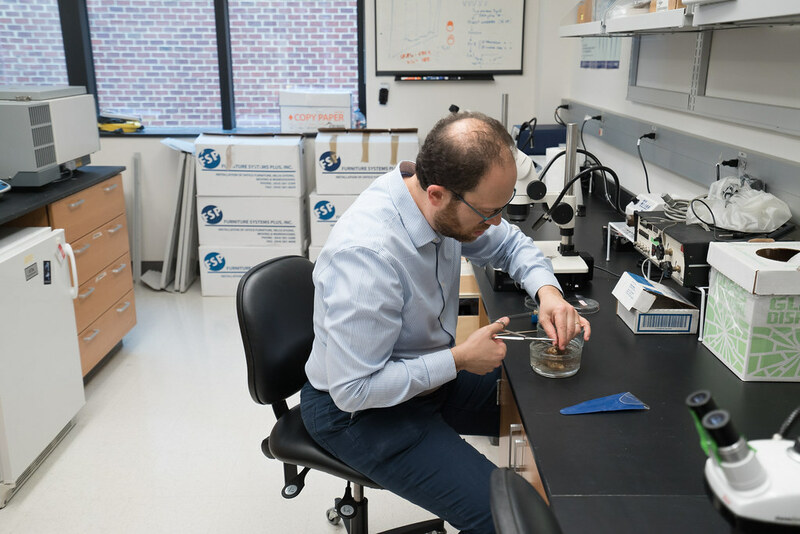 A University of Richmond biology professor’s research with zebrafish explores administering medication directly to bones and allows for exploration of possible solutions for reversing the effects of bone diseases. Isaac Skromne, a developmental biologist, has been awarded a National Institutes of Health – National Institute of Arthritis and Musculoskeletal and Skin Diseases grant in the amount of $343,881 for his research project, “Testing the therapeutic potential of carbon nanodots in bone mineralization diseases.” Skromne is collaborating with Roger Leblanc, professor and chair of the chemistry department at the University of Miami. Carbon dots are particles that can be used as a vehicle to deliver medication directly to bones. The researchers in Miami will synthesize the materials (carbon dots and medications) and send them to Skromne’s lab at UR. 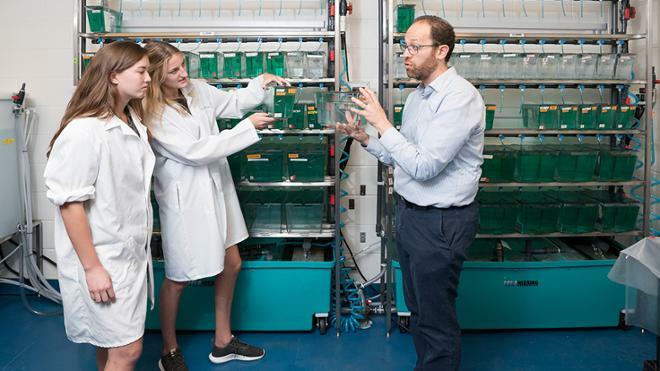 Skromne and his team, which will include undergraduate students, will then inject those materials into zebrafish embryos and adults. One goal of the exploratory project is targeted treatment. The researchers will also be able to explore possible solutions for reversing the effects of bone diseases. Zebrafish lay eggs externally, which makes them easy to collect. Embryos are transparent, so you can see what’s going on inside the body. 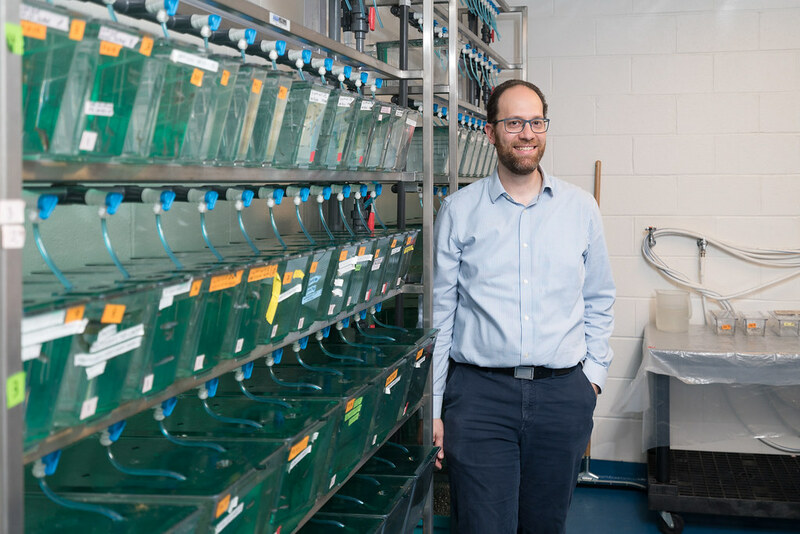 Zebrafish have shown similar mutations to humans regarding bone defects. 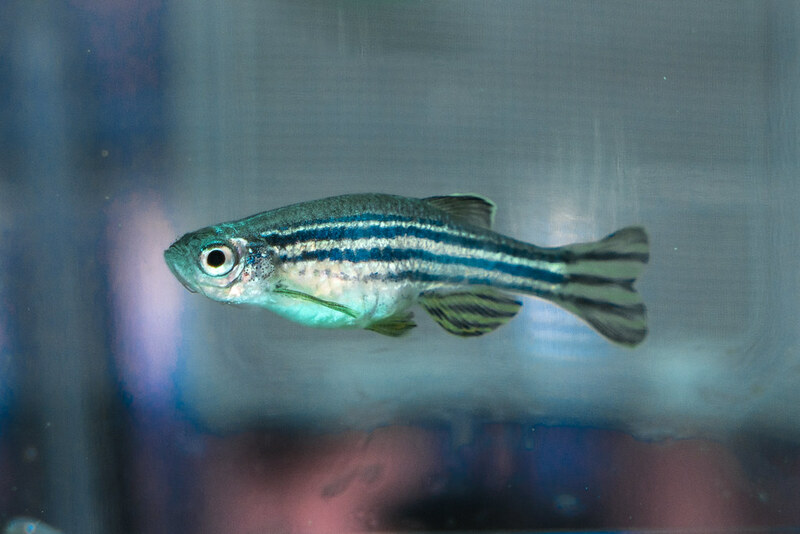 As part of the research, Skromne is also breeding a special type of zebrafish called Caspers, which remain transparent into adulthood. Skromne joined UR’s faculty in August. He completed his bachelor’s degree at National Autonomous University of Mexico and his masters and Ph.D. at Columbia. Disclaimer: Research reported in this publication was supported by the National Institute of Arthritis and Musculoskeletal and Skin Diseases of the National Institutes of Health under Award Number R21AR072226. The content is solely the responsibility of the authors and does not necessarily represent the official views of the National Institutes of Health.